The train ride from Guilin to Hong Kong was a bit demoralizing, moving from beautiful, luscious rain forests past endless miles of farms toward Shenzhen. Nearly two thirds of the way through the three hour ride, an American man got onto my car and incessantly took pictures of the landscape, beautiful in ways but failing in comparison to the mystical hills seen just a few hours earlier. I hope he makes it further into China next time, it’s too spectacular. 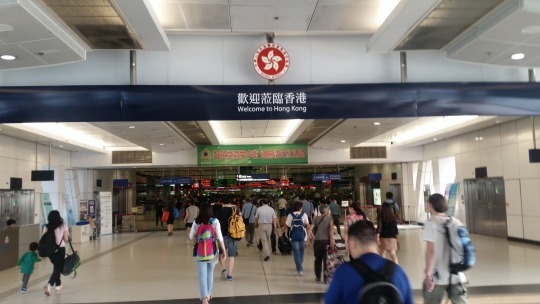 I arrived in Shenzhen in the mid afternoon, navigated the city’s subway system for the border crossing, and walked my way into Hong Kong with thousands of others. As I stepped into this new country, I felt the change in attitude and openness. Simple points, like the prevalence of English and availability of Google, accelerated the adjustment. The diverse faces and unavoidable pulse in the subways welcomed me to one of the world’s great cities. Nearly three hours after arriving in Shenzhen, I made it to street level in Hong Kong. People, signs, and skyscrapers. Hostel shopping proved this would be an expensive four days, but I’d found a bed for under $30/night. With a friend living elsewhere in town, I depended far less on the hostel than I had in previous cities. Laying my bags down, I was abruptly introduced to the reality of HK’s limited space. The four person room securely fit two bunk beds and featured no windows but was only occupied by myself and a 30-something Indian man. We had a few other guests over the following three nights, but he and his liberal use of AXE were a mainstay. There was no escape, I doubt I could have done a pushup. I hadn’t seen such tight quarters since the frat. I finally met up with Kerry, who had only been there for two months at that point, and we headed back toward Central from Causeway Bay. The population density put a buzz through everything. There are so many people to feed, so many desires to fulfill, that every building is efficiently packed with markets, restaurants, shops, and massage parlors. A canopy of store signs lies adjacent to raised sidewalks, redirecting heavy pedestrian traffic from the congested streets. Enormous financial buildings cast a shadow on the countless 10, 15, 20 story buildings in every direction. Bamboo scaffolding signals a city on the mend, and on the rise. The energy left me craving a moment of pause but its ubiquity penetrated the city like a flood and for three days I’d just hold on. Now in Central Hong Kong, where I was told many of the ex-Pats live and work, we grabbed a few beers at 7-11 and headed for dinner. Avoiding a proper bar saved us a few bucks but also supplied a dynamic introduction to the city. 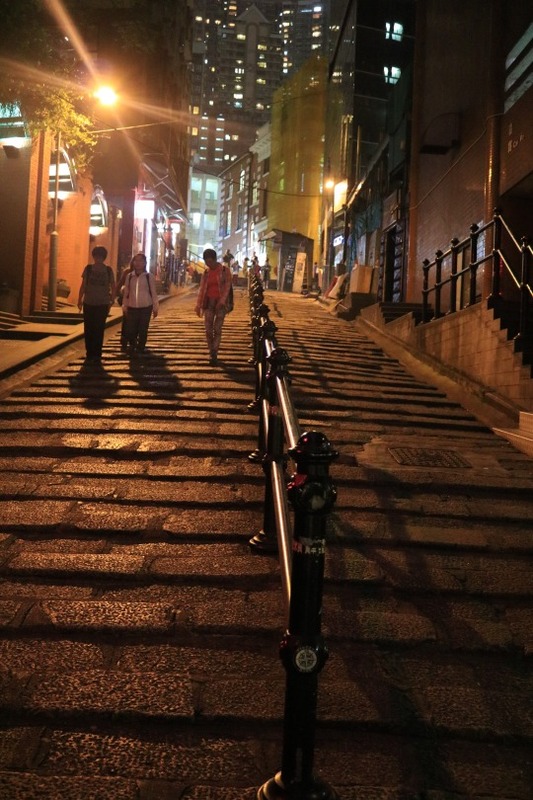 The specific area, Lan Kwai Fong (LKF), is lined with restaurants and bars, many on stone streets that hold centuries of memories. Nearly 8pm on a Wednesday, little shops were packing up while a wildly diverse mix of bankers and other foreigners overflowed onto the streets. If the amazing mix of nationalities didn’t blow me away, the procession of supercars, from Lamborghinis to Bentleys, did. No where else in the world had the story of Hong Kong, geographically within one of the world’s most mysterious, closed countries, yet open to the financial, social, and political freedoms of the West. The significance and history was palpable. Like starring at the Arc de Triumph, standing beneath Times Square, or walking within the Forbidden City, throwing back drinks in Hong Kong holds its own place on the bucket list. In a region with so much excitement, energy, and mystery, this was the epicenter. I spent some time walking around Kowloon, the city within Hong Kong across the water from Hong Kong Island. I was on the hunt for the numerous tailors that call Kowloon home. My tourist outfit, complete with camera across my chest, attracted nearly every well-dressed Indian man searching for new customers. Fortunately, my search for a traditional women’s silk jacket removed my own emotions and after visiting two stores, it was clear they were all working with many of the same materials, particularly the silk. I upped on my personal travel game, buying a short sleeve button down to go along with the jacket for my mom. Interestingly, both tailors I talked with assured me they could complete any additional tailoring during annual trips throughout the United States. But isn’t it so much better to know the jacket was made in Hong Kong? That my new travel shirt was made during my latest travels? The view of Hong Kong from Kowloon is inspiring. Like New York, skyscrapers extend from one end of your view to the other and it feels impossible to capture the city’s size in a single photo. These moments made me understand just how important travel can be, and how photography can’t quite substitute for experience. My best attempt at a panoramic might be able to harness the edifices onto a single shot, but that wouldn’t give proper attention to the sea of people on the streets, the busyness of the subways, or the pervasiveness of luxury that shaped my thoughts at the time. 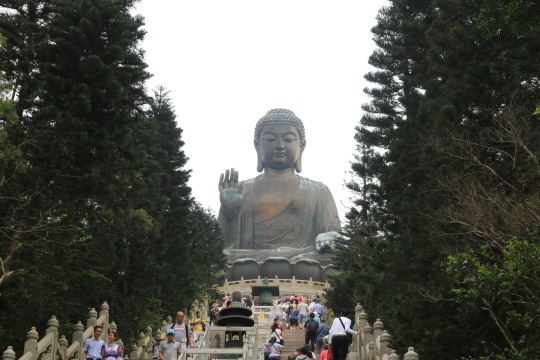 We planned for two days of outdoor activities, beginning the following day with the Tian Tan Buddha. Hong Kong and its various islands are in such an ideal climate that it seems forests could quickly overwhelm civilization if given the chance. The Tian Tan Buddha sits on a hilltop of the island where Disneyland and the international airport are located, roughly half an hour on the subway. From there, a long gondola over the island’s rich forests connects the subway station to the monastery where the statue is located. 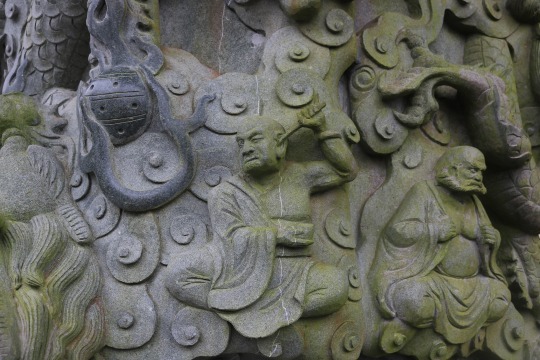 The entire trip feels like a tourist pilgrimage, allowing the world’s visitors to escape the insanity of Hong Kong and get a taste of Buddhism’s strong influence on the region. The statue itself is gorgeous and positioned at the top of a hill, hundreds of steps above the monastery. After snacking and avoiding a conversation about the underwhelming aspect of seeing such a beautiful landmark amongst hundreds of other tourists, and not wanting to jump back on the gondola and head home, we sought out nearby trails. The first half hour was less of a hike than a reprieve from the masses, but as the trail steepened and we passed cows and other hikers, we relaxed in acknowledgement that we’d arrived at our destination, a serious hike to the top of the island’s highest peak. Those descending gave us estimates on our remaining distance and after consistently climbing for nearly two hours, we arrived at some vistas nearly 90% of the way to the top. We chatted with some Canadians who were more properly dressed for the hike, and eyed the final stretch that would take us to the peak, more narrow and steeper than any of the ground covered thus far. The culmination of our hard work was a fable-like surprise, as swarms of mosquitos chased us away and proved that it’s the journey, not the destination, that should be appreciated. Reeling from the expensive nights in the previous two days, we started that evening at my place in Causeway Bay and began walking toward Central, stopping at convenience stores when empty handed. This brought us directly though Wan Chai, where other western men, mostly fatter, drunker, and sorrier, flirted with working girls at bars and on the street. 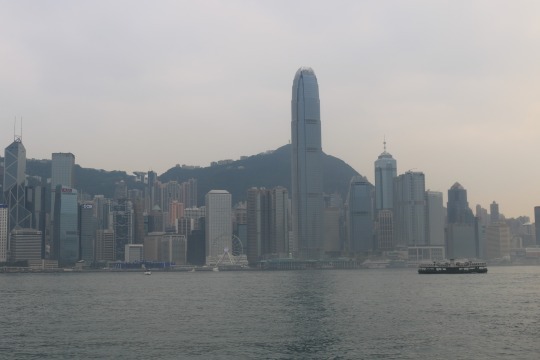 The industry is quasi legal in Hong Kong, and while it’s not the most organized operation, it’s clear that men and women head to Hong Kong particularly for Wan Chai. After telling one lonely Asian girl, who apparently moved there the previous week, that we were happy to chat but had no interest in her services, we watched her break down in tears at the reality of her new worth. It’s a sad state that is an unfortunate reality for so many. 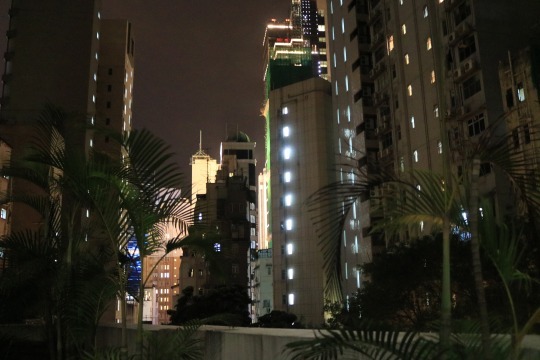 We continued on toward Central and LKF, where we picked up some of the world’s most common nighttime snack, donor kabab, and relaxed on the roof of Kerry’s apartment. So many apartments, so many people, so much action. Some open space within the city was far more relaxing than I could have imagined. My final full day in Asia was another hike, this time along the hills of southeastern Hong Kong Island known as Dragon’s Back. 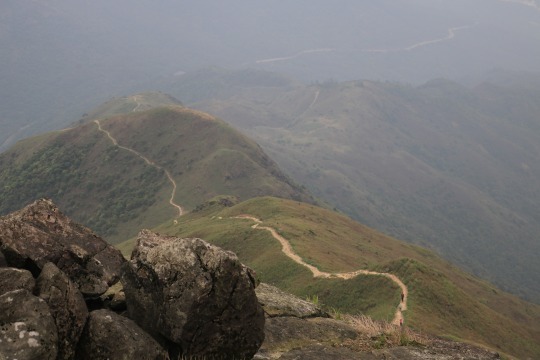 The spine of these hills allows for 360 degree of forests, Tai Tam Bay, and the beautiful coast. The bay is home to dozens of yachts, mansions, and a gorgeous golf course. It’s proximity to the uber-expensive city makes it clear that the wealthy have staked their spot and it immediately brought me back to my closet of a hostel room. Each step along the trail led to better views on either side and we eventually spied Shek O, a small beach town that was now our destination. 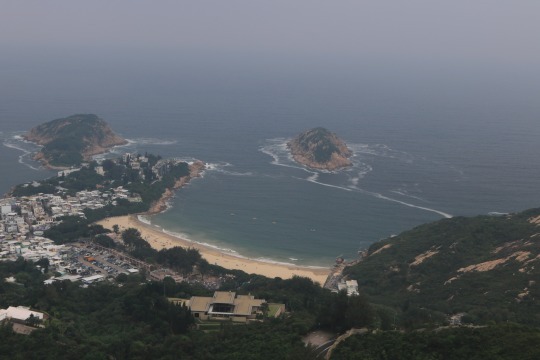 As with most of my time in Hong Kong, we were accompanied by others but as we continued on toward this beach town, farther from the city and away from the bus stops heading back, we escaped the other hikers. Shek O felt like a different world. The water was overcrowded with surfers but it’s easy to imagine locals catching morning breaks before heading into the city for work. After a quick dip, we chowed down on a mix of Asian foods at a beachside restaurant. I need to get back to Asia for the beaches. The next morning I woke up and headed toward the airport. Amazingly, despite weeks and weeks of blog posts, I was only traveling for a month. Experiencing so many different places and people made it feel longer. Weeks spent back home have not had the excitement or change of scenery that days in Asia provided. Thank you for reading along and being patient as I put together these posts. I worried at times that in-depth descriptions of these locations would spoil things for others, but hopefully my posts provided a look at things from my unique perspective. The entire trip was far easier than I had imagined. The hospitality of the Japanese, Chinese, and Tibetan people blew me away. I’ll do my best to chronicle future travels and please let me know if you have any questions or suggestions for new places to visit.